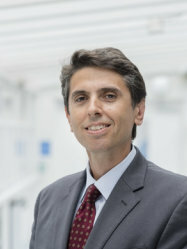 Dr Kostas Dimopoulos is a consultant cardiologist at the Royal Brompton Hospital specialising in adult congenital heart disease (ACHD) and pulmonary hypertension (PH). Dr Dimopoulos’ research is predominantly clinical, aimed at addressing important unanswered questions in the area of ACHD and PH. He has published over 200 papers in this area and is the editor for a book on pulmonary hypertension in congenital heart disease (Springer 2017), one of the most complex areas in cardiology.